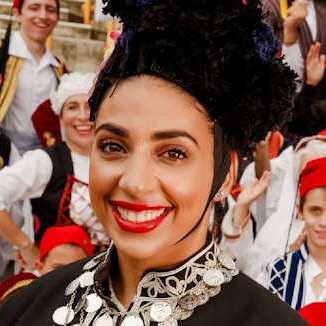 The diverse Cretan People and Culture. Who are the Cretan people? What is Cretan culture? How can we share our wonderful stories, traditions, ideas, words, songs and histories? The History of Crete - speak to any Cretan in their home, in the kafenion, at a bar cafe or in a taverna and the subject of history won't be far off. 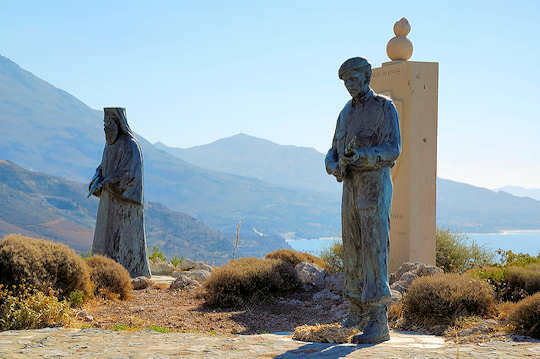 Our history pages get you up to date on the extraordinary wealth of stories from Crete. 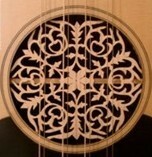 The stirring, rhythmic Kritiki Musiki is central to the hearts of Cretans, and will fill your soul upon understanding. Experience the music as a living tradition in poetry and song, connection and dance. Literature of Crete - discover the words of Kazantzakis, we cover modern writers, and travel memoirs. Moustakia, Sarikia & Stivania - proud Cretan customs; unique aspects of life on Crete. Famous People of Crete - from history and modern times, notorious Cretans who have shaped this island's character. 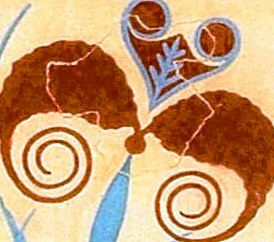 Art of Crete - from the Minoan to modern art, folk art and many creative expressions of Crete, showing the unique art of the Cretan people and culture. 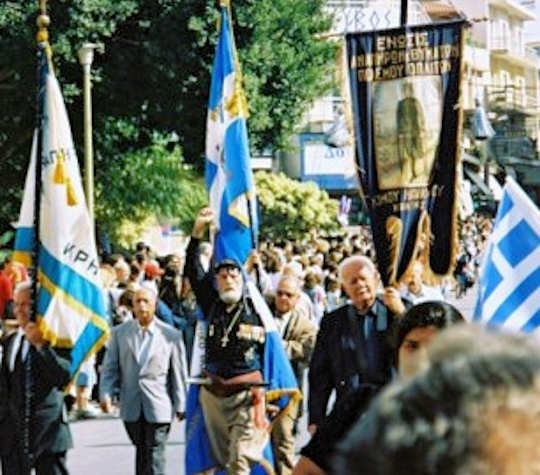 Oxi Day - this celebration of 'No' and what it is all about, what to expect if you are in Crete for 28 October on this national holiday. Architecture and art combine in this collaborative art project inspired by the Doors of Crete. 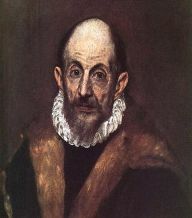 El Greco - our dedicated page about this famous artist who was born in Crete. Trivia - what has Jennifer Aniston got to do with Crete? Pirates in the Mediterranean. What has Johnny Depp got to do with Crete? Greeks and Cretans in the Diaspora... living all over the world sharing the culture of Crete and Greece. 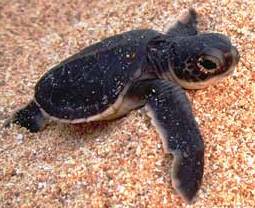 Conservation in Crete - with many different projects to join all over Crete, the fascinating wildlife of Crete and Ecological organisations active on the island. 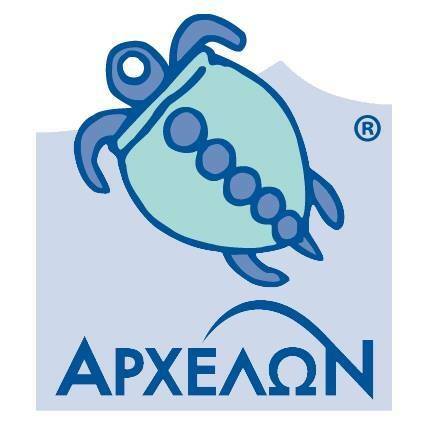 Volunteering in Crete - diverse projects where you can lend a hand to help. 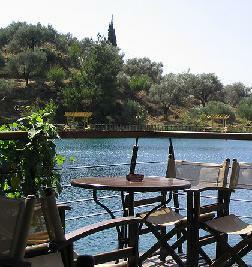 Cafes of Kriti - where you can sit back, relax and take in the local atmosphere, perhaps try a Greek coffee or a frappe. 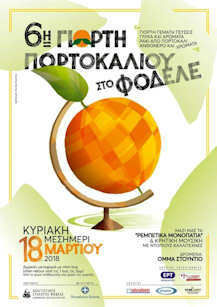 Cretan People and Culture - the variety of charities involving different aspects of life on Crete can be seen in action. 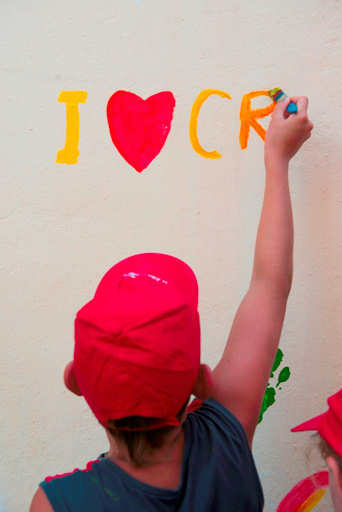 Crete for Life is a charity operating in the south of Crete, near Ierapetra, bringing joy to kids suffering in poverty and ill-health with recuperative breaks, hospital support and creativity projects. A holiday camp for kids, this charity provides welcome relief and laughter, sun and swimming, activities and sharing for many children every summer. Their motto is "A holiday can change a life" and we agree. Visit their website and support their valuable work, volunteering positions are available from time to time. Donkeys are work animals for most people on Crete. When they are no longer useful or too old, in the past they were left to starve or die a sad and lonely death. Alistair and Suzanne think this is terrible, so they have created a donkey shelter in the south-east of the island, near Ierapetra. The great thing about this is that the donkeys get treated really well, live out their lives in good health, and get to meet visitors who love animals. Some visitors even bring their kids for a farm visit, a picnic, a day trip riding a donkey, a camping trip or a vulture-spotting trek in the mountains, or stay in the glamping tents, to get away from it all. Donations can be made to support the work this project, or visit their website to find out how you can help in person. Local life in Crete is represented by the Dimos or municipal or local government of each prefecture or region - these are the organisations that look after municipal services, legal and environmental services, prepare summer cultural festivals each year and many other local events such as May rememberance ceremonies. Keeping in touch with the Dimos is essential for life in Crete. Cretan People and Culture - throughout the year there are a variety of cultural festivals all over the island. Each city has its own summer cultural festival in July and August. Rethymnon Karnavali - in late January and early February a cavalcade of events in Rethymnon celebrate in the traditional Venetian style, with crews and groups of locals on parades, musical events, costumes, floats, designs, colour, noise and mayhem! 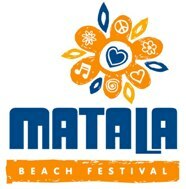 Matala Beach Festival - reviving the hippie freedoms of the sixties on one of the most beautiful beaches of Crete, this music festival features a mixture of modern pop-rock music over one weekend in June each year. Mediterranean Festival Sitia - a summer festival of art and music in late June and early July in the bayside town of Sitia. 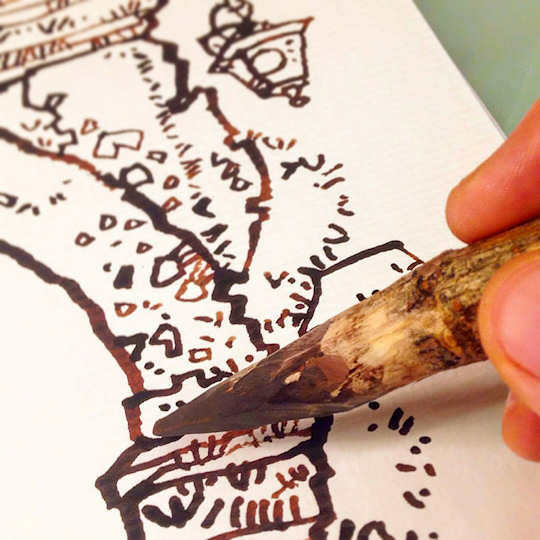 Theatrical performances, live shows, dances, concerts, surprises, handmade artwork and local products. Fodele Orange Festival - this shady village in a valley full of orange and fruit trees celebrates its abundant crop in March with orange flavoured sweets, orange flavoured raki, live music and events. 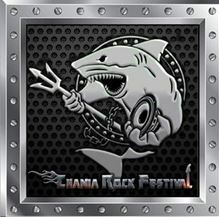 Chania Rock Festival - one of the biggest rock and metal festivals in Greece and southern Europe, presenting rock and metal music in Chania in late June. Sfakia Vertical Run - run up the steep slopes of the Sfakian mountains in October, from Loutro to Anopoli 4.5 km 687 m high to the chapel of St Catherine. 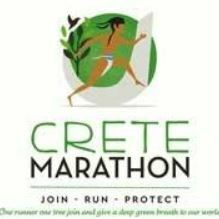 Crete Marathon - a series of events held in April including the marathon and shorter road races around the beautiful city of Chania. This year the event is emphasising biodiversity and runners can sign up for 'one runner one tree'. Knossos Run - this charity event in March runs on ancient routes from Knossos to Mount Giouktas to the village of Archanes. A mountain run of 6.5 km or 22.5 km in Heraklion. 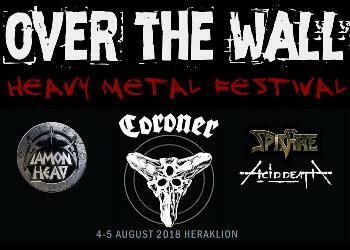 Crete Rock Festival - Over The Wall - held in Heraklion in August, for those serious about their metal. Agios Nikolaos Cliff Diving - this spectacular sporting event is held in summer on the high board over Lake Voulismeni. Echoes From the Labyrinth - Doom Metal Festival - held in October in Heraklion - supporting local music.